Unprotected pipelines, whether buried in the ground, exposed to the atmosphere, or submerged in water, must be properly maintained and protected from corrosion. NACE’s suite of courses provides field training on pipeline corrosion control techniques, as well as managerial-level best practices on how to develop pipeline integrity management programs, for both the interior and exterior of pipeline systems. 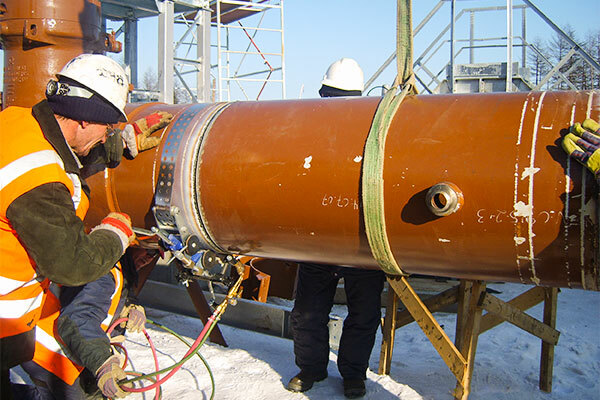 These courses are ideal for individuals working in the pipeline industry, from field personnel and technicians to engineers and asset integrity and risk managers. The Internal Corrosion for Pipelines – Basic course introduces the fundamentals of implementing, monitoring, and maintaining an internal corrosion control program as part of an overall pipeline integrity management program. This course focuses on the monitoring techniques and mitigation strategies required to assess internal corrosion and develop and manage internal corrosion control programs. The Pipeline Corrosion Assessment Field Techniques course covers corrosion basic principles and theory, field techniques, direct assessment, in-line inspection and hydro testing techniques, indirect inspections, direct examination, safety and data documentation. The In-Line Inspection course covers the benefits of utilizing In-Line Inspection, selection of technologies related to operational parameters, operational issues, and evaluating data relevant to assessing fitness for service. The Direct Assessment course concentrates on internal, external, and stress corrosion cracking direct assessment, along with pre- and post-assessment, quality assurance, data analysis and integration, and remediation and mitigation activities. The Pipeline Corrosion Integrity Management (PCIM) course serves as the key training track for the PCIM professional who focuses on the implementation and management of an integrity program for a pipeline system.